In yet another milestone Football Kenya Federation (FKF) has today rolled out the National U13 youth championship that will culminate with the formation of a national U13 team. The championship, which aims to foster football development both at the grass-root and national level kicks off this weekend, in what is a continuation of the FKF U13 leagues, played in 43 FKF Sub-branches last year. “As a federation, it is our belief that this venture will not only provide the much needed platform to expose our young players to international football, but will also aid in the development and the long term success of the sport,” said FKF President Nick Mwendwa. 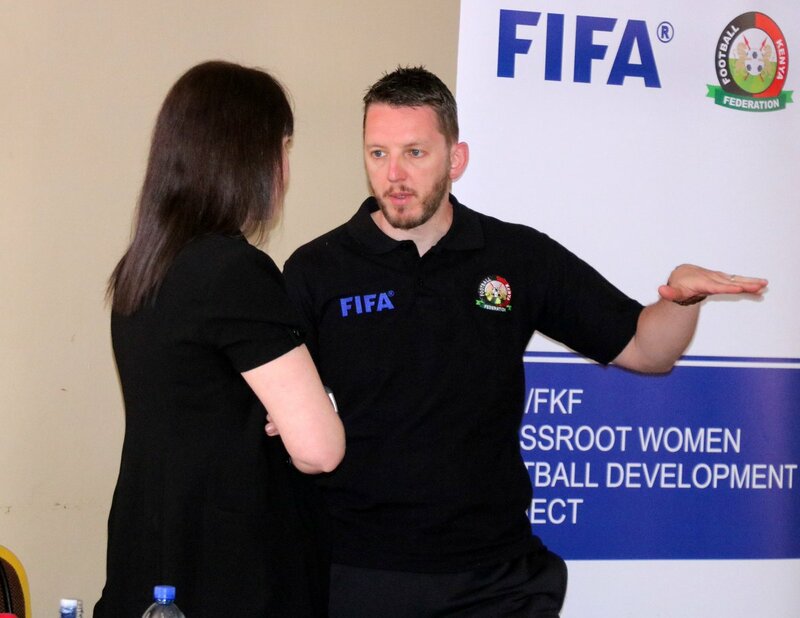 “Going forward, plans are already under way to have the team participate in international junior tournaments beginning this year, with the team set to travel to Southampton, UK, in August,” explained Mwendwa. In addition, the FKF president also pointed out that the introduction of player registration for the championships will not only mitigate against age cheating but will also play a crucial role in developing player passports. “For the first time in the history of Kenyan football it will be possible to capture player data from a very young age. “This is key as it will enable the federation create player passports, crucial in not only abating age cheating but also ensuring that clubs benefit from solidarity, training and transfer fees,” added The FA president. Last year the federation registered more than 18,000 U13/U15 players, with the registration expected to increase in the coming weeks as the conclusion for the 2017 U13/U15 league season nears. The U13 championship kicks off this weekend at the Sub- branch level, before moving to the branch level on April 15/16, with the national championships set for April 22/23, in Nakuru. The tournament is for teams that participated in the 2016 FKF U13 leagues only.